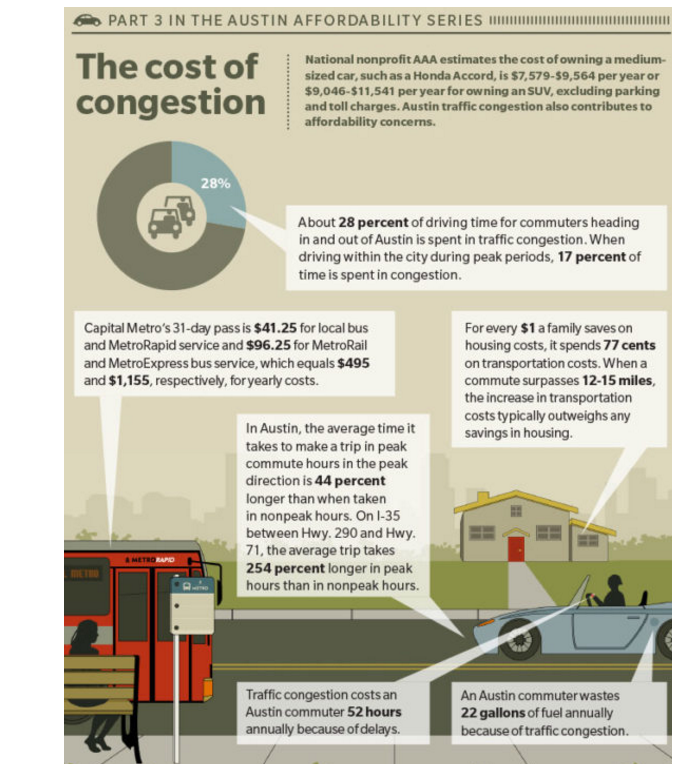 ​​​AUSTIN – An estimated 450,000 commuters use city roads daily, and 33 percent of them start their trips from outside the city limits, said Mayor Steve Adler. The U.S. Bureau of Labor Statistics reports the two largest household expenses are housing and transportation. When a person's commute exceeds 12–15 miles, housing savings are wiped out by increased transportation costs. The city's $720 million mobility bond approved by voters last November provides funding for local and regional road projects as well as bicycle and pedestrian facilities. The city is working on creating its first long-range transportation plan since 1995, and the plan will head to City Council for approval in early 2018.